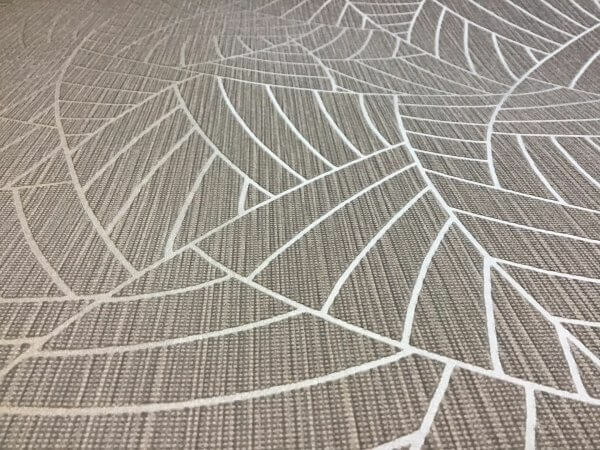 With metallic geometric curves beautifully patterned across this textured wallpaper, it almost resembles a leaf-like design in with gorgeously sophisticated line work pattern. A stunningly thoughtful design, this wallpaper would work perfectly either as a feature wall, or even throughout an entire room as a result of its delicate, yet very detailed, design. 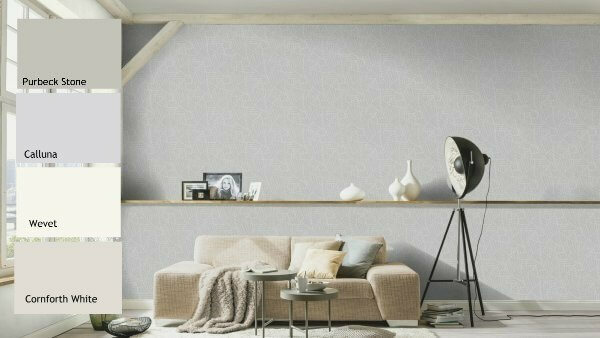 With metallic geometric curves beautifully patterned across this textured wallpaper, it almost resembles a leaf-like design in with gorgeously sophisticated line work pattern. A stunningly thoughtful design, this wallpaper would work perfectly either as a feature wall, or even throughout an entire room as a result of its delicate, yet very detailed, design. Additionally, despite its texture and metallic finish, this wallpaper is also extra washable, which means that it is perfect to use in high-traffic areas such as hallways as those pesky marks and stains can be easily washed away.